Short ribs are a real BBQ classic, make sure to pick up well marbled shorties. This is when thin lines of fat run all the way through the meat giving it a marbled effect and causing the meat to be succulent and juicy. 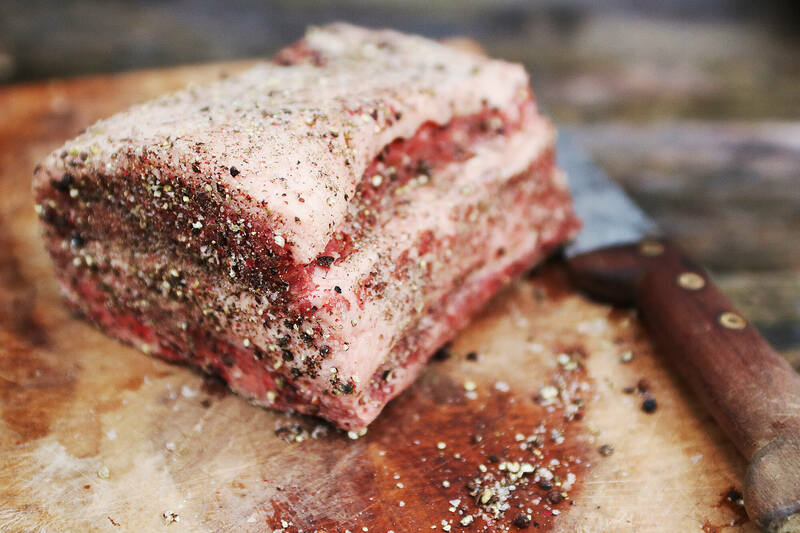 Ask your butcher for a Jacobs Ladder, a short rib of beef with a good covering of meat on the bone. Ideally you want shorties with just one layer of meat and fat, sometimes they come with an extra layer of meat on top, this can take a lot of extra cooking, so just be aware if your ribs have this extra layer. I will often slice it off and make a chilli with it or add it to BBQ beans. See our video with thanks to Marcus from Country Wood Smoke for how to smoke 5 pepper short ribs on our Premium Charcoal BBQ Smoker Grill. Great tasting meat that takes little effort but provides impressive results. A five pepper mix adds a wonderful peppery depth of flavour to the ribs, you can pick up a 5 pepper mix from plenty of places these days. 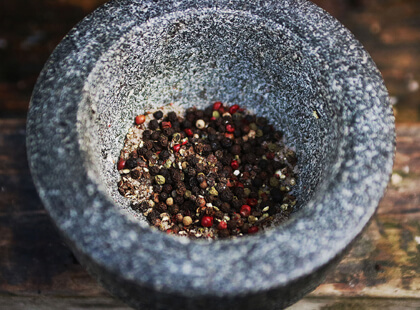 The mix includes an attractive blend of black, white, green and pink peppercorns along with aromatic allspice berries. 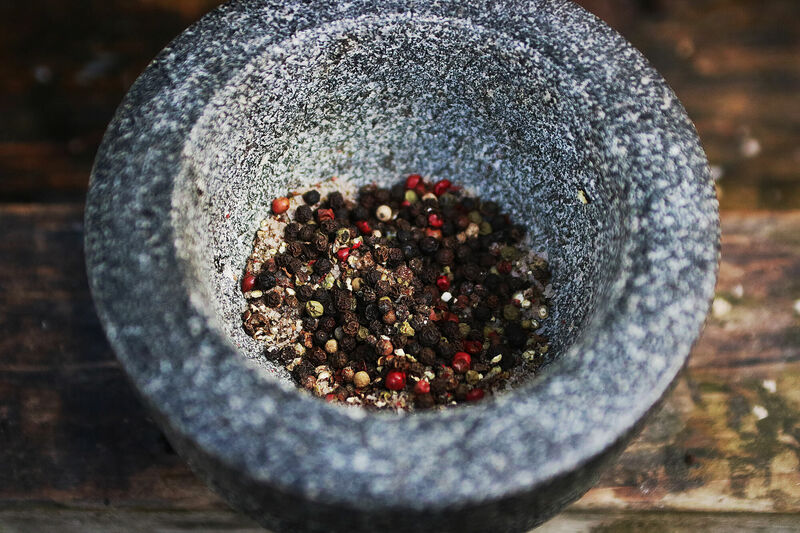 Take 3 tbsps of the peppercorns, and 3 tbsps of sea salt and crush them up together in a pestle and mortar until a lot finer. Sprinkle evenly over the shorties. Set up your smoker for indirect heat at around 120-130°C. Once the coals are hot add a couple of chunks of smoking wood. 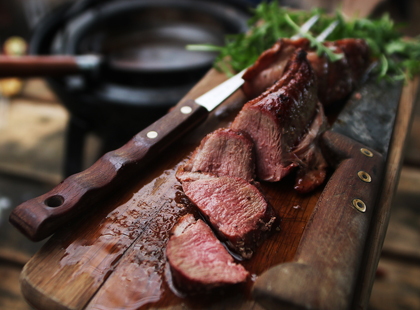 Whisky Oak chunks are great for this beef recipe. Smoke the ribs for 5 hours, you will need to top up the charcoal after a few hours to ensure the smoker stays up to temperature. After 5 hours wrap the short ribs in foil, you can add a splash of beer here if you like. Cook until tender, the internal temp of the meat should be reading 95-96°C. When you insert a temperature probe the meat should feel soft like butter. Take out from the foil (keep the foil juices to make a nice gravy), and place back onto the smoker. 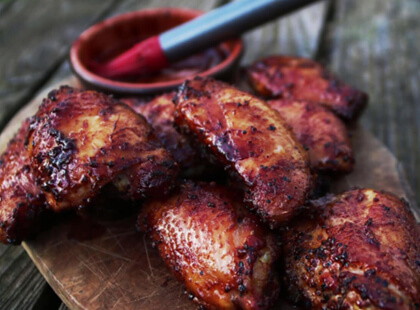 You can brush with a BBQ sauce of your choice here to glaze the meat and leave for another 10 minutes, or keep it simple without sauce and enjoy all the flavours infused in the beef. These short ribs taste incredible, and will be so tender they’ll almost be falling apart.